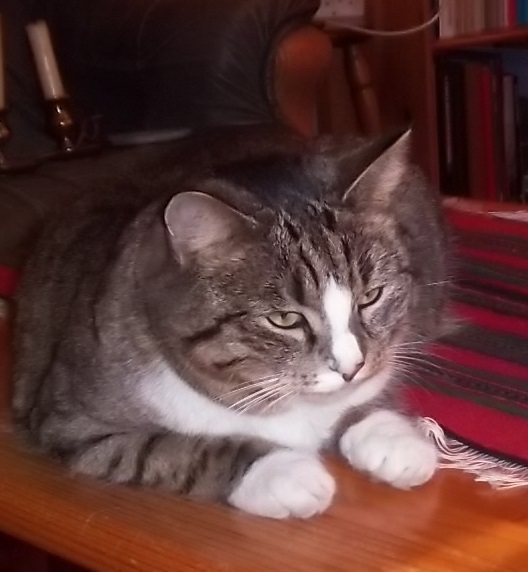 Good morning from me—and Grania, who sent the second tweet. “Yes, kid, I’m afraid it is”, Jackson replied. The boys opened a path for the ball player and stood in silence until he passed out of sight. “Well, I’d never have thought it,” sighed the lad. On this day in 1948, Whittaker Chambers famously accused Alger Hiss, a government official, of being a Communist who spied for the Soviet Union. Hiss was convicted of perjury and served three years and eight months in jail. Historians still argue about whether he was guilty. Finally, on August 3, 1958, the USS Nautilus, the world’s first nuclear submarine, made its first underwater transit of the North pole. A: We have to think back. Hili: I can’t go back any further. Hili: Ja już dalej nie mogę. Yay! India has founded a Society for Evolutionary Biologists! Most of these people hosted me during my visit last winter. Buzz Aldrin’s expense report to the government for his trip to the Moon. Grand total: $33.31. Tweets from Grania; the first one showing a kid with bad vision getting glasses for the first time. Toddler wears new glasses and sees 20/20 for the first time. If you’re wondering how an optometrist can write a prescription for a kid too young to speak or read, go here. Here’s the Tweet of the Month, and it’s only the 3rd! Emily was reasonably tall, but Charlotte was tiny. See more cartoons about Emily Brontë in this article. This entry was written by whyevolutionistrue and posted on August 3, 2018 at 6:30 am and filed under Hili Dialogue. Bookmark the permalink. Follow any comments here with the RSS feed for this post. Both comments and trackbacks are currently closed. 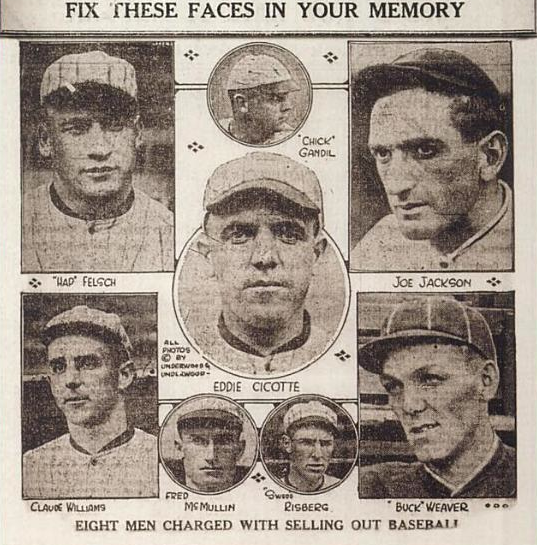 The Black Sox scandal was the subject of an engaging feature film by John Sayles, Eight Men Out. 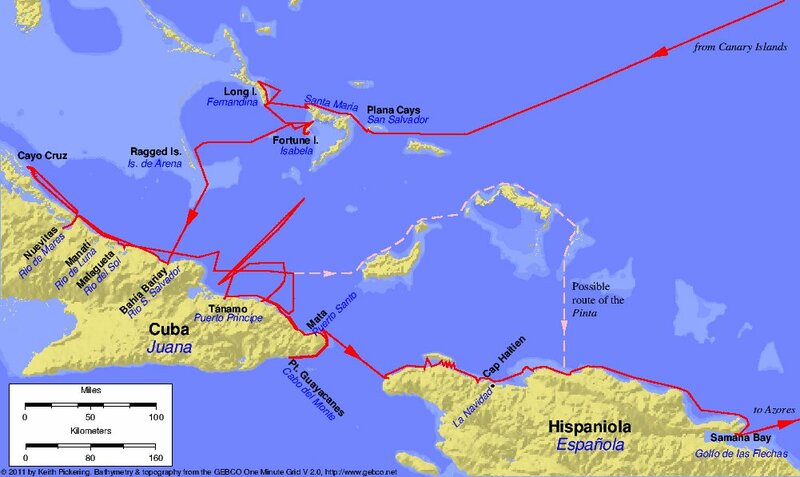 Columbus was not always the most popular guy on the boat. I believe it was on his third trip he returned to Spain in chains, somewhat under arrest. And yet he still made a forth trip. It was the investigation of Alger Hiss by the House Un-American Committee in 1948 that first launched the loathsome Richard Milhous Nixon into national prominence, leading Dwight D. Eisenhower to offer him a spot on the national ticket in 1952, leading to … ah, well, we all know the rest of that grim tale. House Un-American Activities Committee — though the whole damn thing was pretty goddamn un-American all on its own, you ask a lot of us. The Venona transcripts were not declassified until 1995. The time in between has allowed the defenders of Hiss to continue to muddy the waters. Far be it from me to defend the old pumpkin-patch paper pusher. … unless you are deliberately thinking of the German. If I’m correct, it is so fossil-like that it must have sitted there since the Cretaceous. 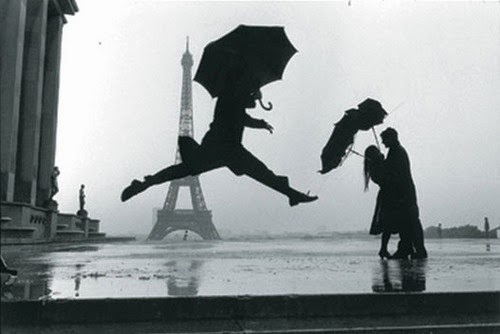 I very much liked the Cartier-Bresson photograph, blown umbrellas, an improbable ballet leap, the Eiffel Tower an ornament, but how the hell did he snap it if it wasn’t set up? Genius luck I suppose. Re buzz aldrin travel voucher. You have to wonder what parsonel travel expense the 33 bucks covered. Faking a moon landing is not cheap. Buzz continues the coverup by attacking truth tellers like Bart Sibrel. OK – I just love this video, Sibrel actually wanted to press charges. Sibrel called American hero Buzz Aldrin a coward and a liar. If the DA were stupid enough to go to trial, I assume the jury would have found Sibrel guilty of assaulting Aldrin’s fist. Great Buzz Aldrin vid! Naturally the idiot’s a bible-thumper. Too bad Buzz didn’t thump him with said book. I must have too much time on my hands today. Since it appears he got to the cape about a week before launch, he may have had some meals, snacks, voq or other incidental expenses before going into pre-flight isolation. Nasa has always been pretty strictly by the book on travel regs. Maybe there is an naca/nasa reader left from that era who can enlighten us? The dogs sitting to Trump thing: Fake – the two left dogs [at least] are looking to the left of the TV where the dogs’ master must be lurking. Jane Eyre is my second favorite novel of all time (behind Tolkien LotR), but I had no idea that Charlotte B was so diminutive. There’s a fair amount of evidence both for and against the guilt of Alger Hiss, but opinion seems to have shifted in recent years towards more historians thinking him guilty than not. Typo: The first commissioner of baseball was named Kenesaw Mountain, a variation of the name of the Civil War battle where his father was wounded.